People now consume 38% of their media online. However local awareness budgets are still largely focused on non-interactive media such as TV, Radio, Billboards and Newspapers. Display banner advertising has gone through a renaissance in the past 18 months because of rapid technology advanced related to real-time bidded ad exchanges. Today there are more (about 10 billion) daily real time bidded display ad impressions sold than the number of daily US equity trades. However the sophisticated buying techniques required had meant that this type of advertising was only available to large national advertisers. This is changing. 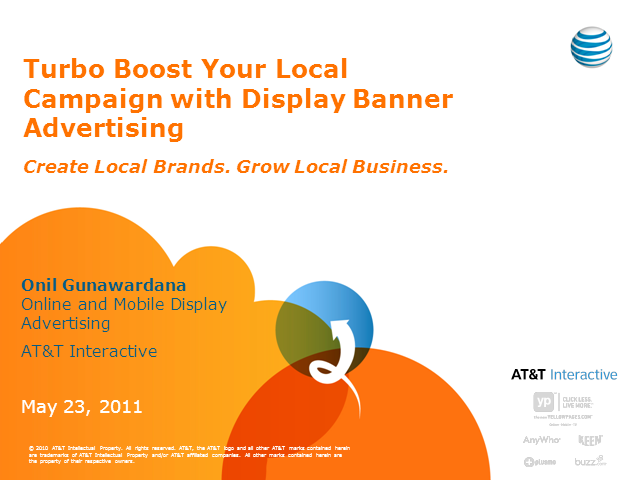 Come learn about how local advertisers can harness the power of exchange based display banner advertising to turbo boost their campaigns.